Want a taller, more defined nose? Forget surgery and learn how to master the art of contouring! A brown eyeshadow or contour powder that is one shade or two darker than your skintone. Make sure you use a matte or satin formula for the most natural effect. You can also use a cream foundation or concealer. A product I recently fell in love with is Smashbox Step-by-step Contour Kit but I also love MAC Pro Sculpt and Shape powders. Light colors will highlight features, emphasize and make them larger/more prominent, while dark colors will shade, create shadow, minimize, reduce/recede features and create the illusion of depth. To make your nose appear taller and more slender, you want to place the contouring color along the sides of the nose and the highlighting color on the bridge. MAC makeup senior artist Victor C also recommends applying a brown eyeshadow (he loves MAC Soft Brown Eyeshadow) on the crease and dragging it towards the inner corner right by the nose to create the illusion of a higher bridge. For those with really dark skin tones, beauty guru Sam Fine has this tip: Instead of applying a darker color on already dark-colored skin, you lighten the surrounding areas to create the illusion of depth. Step 1. Using a small angled brush like the Angled Crease Brush in EcoTools 6 Piece Eye Brush Set, apply the contouring color starting from the beginning of the brow. Drag it downward to the side of the nose and all the way to the tip. Step 2. Blend with a fluffy brush like EcoTools Blush Brush until there are no harsh edges. Step 3. Apply the highlighting color down the bridge of your nose to make it really pop. I am using Yves Saint Laurent Touche Eclat Radiant Touch in 2 Luminous Ivory here. Voila! A taller nose bridge! Want more tips to help you master the skill of contouring? Check out these tips I picked up at MAC PRO Sculpting The Face Master Class. How do you contour your nose? What products are your HG? Tell us! I never knew contouring was so easy! I’m just starting to really use makeup, so this really helps! Thanks for the tutorial! I’m going to try this first thing tomorrow morning. Thanks a lot! I am going to try this right now! My nose is already long (for an Asian) but it can really use some more defining. I didn’t do anything to my bottom lashline so I don’t really understand what you mean. Lucky you! I actually hated that my lower lashes are almost non-existent *lol* For the “look” above, I did not wear any mascara and I applied concealer all the way up to the lashline. Handy tutorial! You have a lovely nose by the way! I really love your blog and reviews, this is really well put article, with review of the product and useful information that could be helpful for everyone . It is very important to know the shape of your face, and knowing how to contour your face, you can create optical illusion of bigger, taller, smaller nose, you can achieve optical illusion of a longer, or wider shaped face, and this is also true for the eyes and lips. Well done, keep up the good work! I know this is about contouring and all, but girl your eye lashes are crazy pretty. Love love your blog! What powder/shade did you use to contour your nose in the pictures above??? Thanks Lala! I was using the contour shade from Smashbox Step-by-step Contour Kit. Do you have a youtube channel we can watch you? I love your eyelashes! where can I buy them? Thanks Xtina! I got the lashes from Asia and they were from some Taiwanese brand. 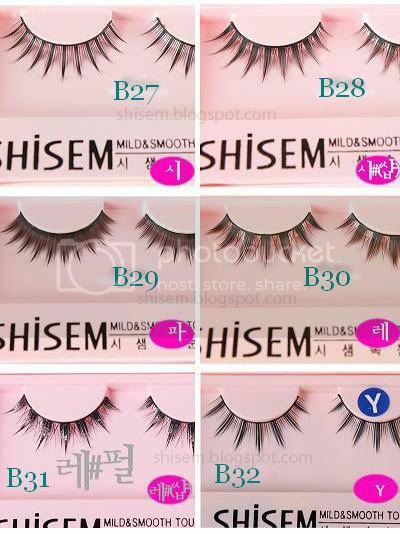 If you’re interested in trying Taiwanese lashes, feel free to check out my store. did you use bb cream for this tutorial? Foundation? I was definitely wearing foundation in this tutorial and it’s most likely the Make Up For Ever HD Invisible Cover Foundation. Do u put your foundation before or after you contour your nose ?? If I’m using a powder to contour (as pictured above), I normally do it after foundation. Alternatively, you can just use a darker cream/liquid foundation on areas that require contouring then set with a translucent powder. I have used the nose right tool which is help to make nose smaller. I find them very helpful when it comes to slim the nose without surgery or make up. Hi just wondering if you have the name for the lashes that you are wearing. Thanks! Unfortunately, I no longer remember the name of the brand but the lashes are very close to the Shisem lashes (B30/B31) in this picture. Shisem is a Korean brand and you will most likely find it in your local Korean beauty store. I am only ten so should I be using contour and highlight to contour my nose at this point? Hi Ellie, personally I think you are a little too young to be contouring and highlighting. Most of the makeup looks you see on TV, magazines, social media and even the one featured here tend to look heavier in person than they appear and may require a full face of makeup – which at your age, is too much. I would suggest sticking to the basics for now. Throw on a bit of tinted lip balm or gloss and play up your eyes by giving your lashes a curl and even adding mascara. 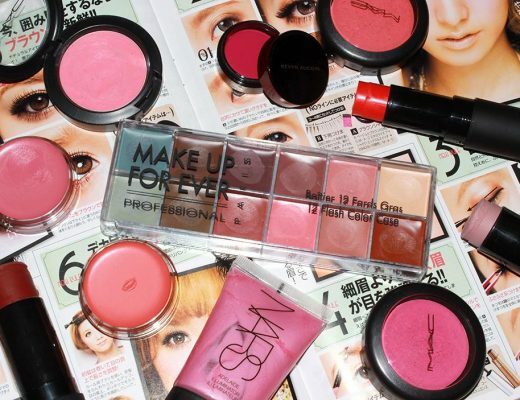 You can find more makeup tips for teens here. Contouring was not an easy task for me because I was not aware of how to do it properly. I am happy that you have shared the useful information in this interesting piece of writing because your step by step guidance has made it easy for me to contour my nose. Thank you so much! Can you also guide me for contouring my forehead?